Every day stress, something we all have to live with, can take its toll on the forehead, brow, and crow’s feet of the eye area. When stress or worry accumulates, lines and wrinkles can appear in these places and can also cause your eyebrows to droop, adding years to your appearance. This can cause additional stress, and cascade into a downward spiral that can severely impact your enjoyment of life and looking refreshed and beautiful. With BOTOX Cosmetic®, you can relieve that stress and start to live the life you deserve. Why get it and how does Botox Work? The way Botox works is extremely simple. Injected Botox molecules block nerve impulses to the affected muscles, reducing their activity. Since it is the muscle activity in the face that causes wrinkles to occur, reducing this activity gives the face a younger, lifted, and more carefree appearance. The skin drapes and smooths out over the now-resting muscle, giving you a relaxed, refreshed, happy look instead of the tired, droopy, angry look you should not be getting used to. And the best thing about Botox is that its results are almost immediately noticeable with no recovery time and virtually pain-free!. When you get your Botox injection, you are ready to go about your day as soon as you leave our office. Doctor Khan provides THE best in Botox Treatments! When you receive your Botox injection from Dr Khan, the expert injector at Edgewater and Hoboken Cosmetic & Laser Centers, you are in the best of hands. Dr Khan is a board-certified physician and surgeon, as well as a Fellow of the American College of Surgeons (FACS). 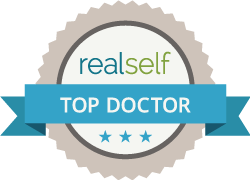 He has over 10 years of experience in administering cosmetic injections, such as Botox Cosmetic®, Dysport®, Restylane®, Juvederm®, Restylane Lyft (formally Perlane)®, and Fat Injections. His vast years of education and experience in cosmetic procedures ensure that you will receive thorough professional counseling as to which procedures are right for you to make you look and feel your best. So call the Edgewater and Hoboken Cosmetic & Laser Centers today at 201.313.8899 to set up an initial consultation. You will be glad you did!